Is this a bit of a cheat? 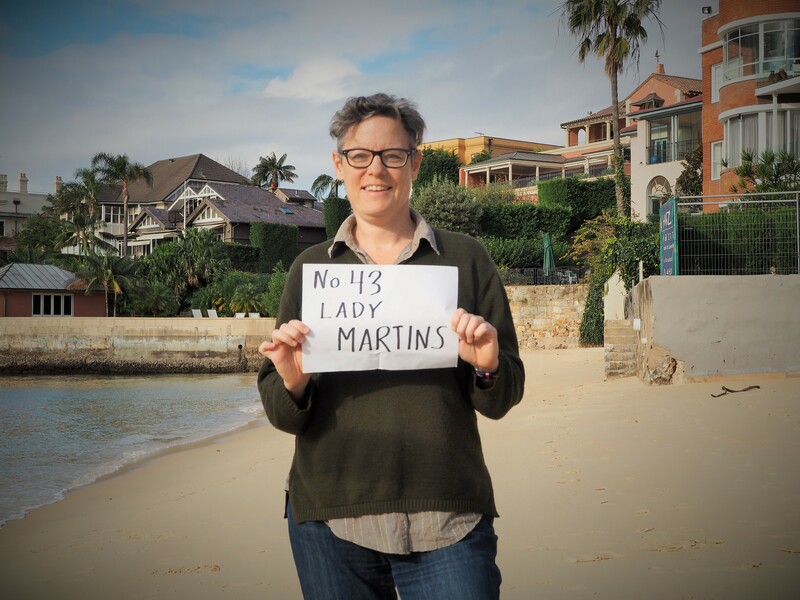 I visited Lady Martin’s on 17 May 2015 – one week before I departed for my midlife gap year – but never posted about it. I don’t want to visit it again so I’m going back to my diary from the day to write it up now. Lady Martin’s is a wee crescent of beach at the bottom of Point Piper. I suspect in any other country it would be privately held and divvied up among the millionaires whose mansions hover nearby. These include the current Prime Minister of Australia, Malcolm Turnbull. Of course, when I visited back in 2015 he was fuming on the back benches as Tony Abbott went about his business of losing popularity. 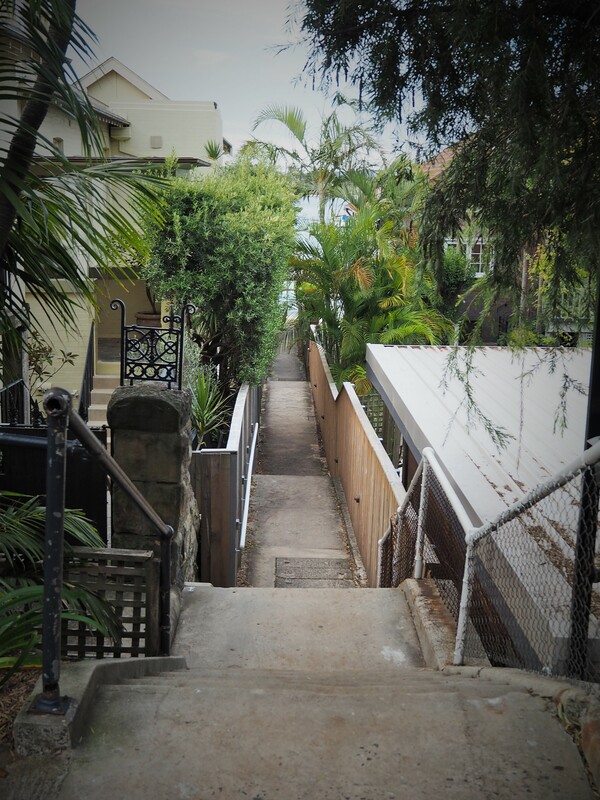 Sneaky access: the pathway next to the Prince Edward Yacht Club. There’s real and lovely warmth in the sun – which burns bright when not obscured by clouds. The light shimmers blindingly on the weak harbour waves as they flush ashore with a rhythmic, sleep-encouraging hush. 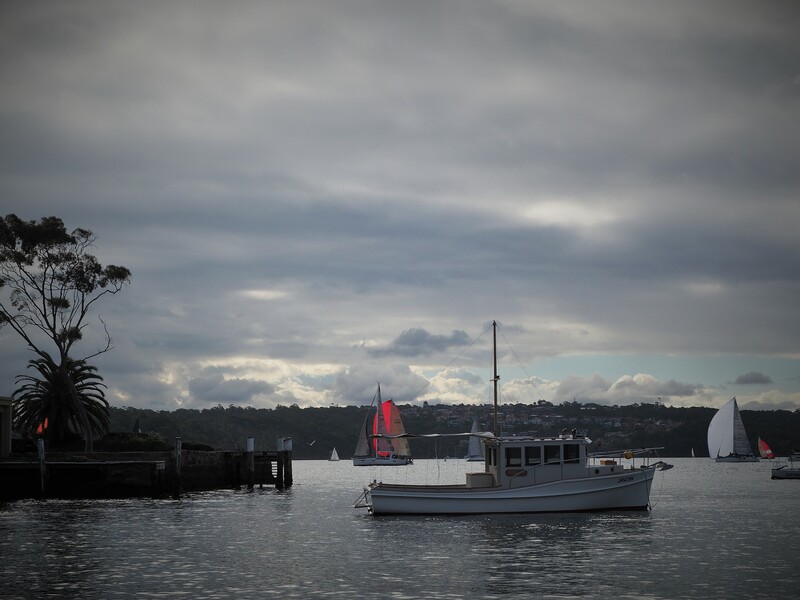 A flotilla or racing yachts rush past out on the harbour. There is a party – a birthday party perhaps – at the Prince Edward Yacht Club. A one-man-band plays groovy guitar jazz. Among the party guests are many multicultural, multilingual families – a wee girl speaks French, English, and Russian. But mostly people seem to be speaking French. Which seems appropriate as I realised earlier today that I really will need to learn some of that language. Had I come at high tide I expect there’d have been little beach to visit as the sand is wet right up to the retaining wall. 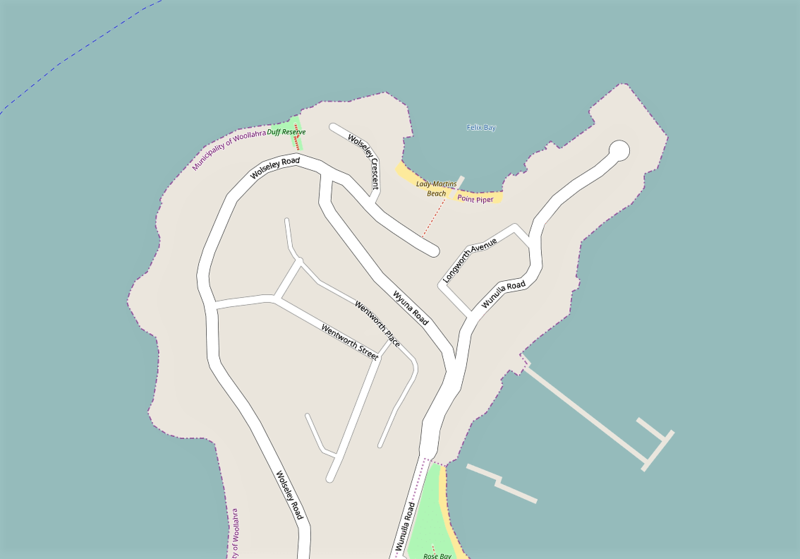 As it is, there’s maybe five meters of beach running 100 meters or fewer and bisected by the yacht club’s pier. The beach is Sydney-sandstone golden and surrounded by about a billion dollars’ worth of residential property. It’s a place to really celebrate the decision, early in Australia’s story, to keep beaches, all of them, even little ones like this – public. It’s lovely. I’m so glad I came. 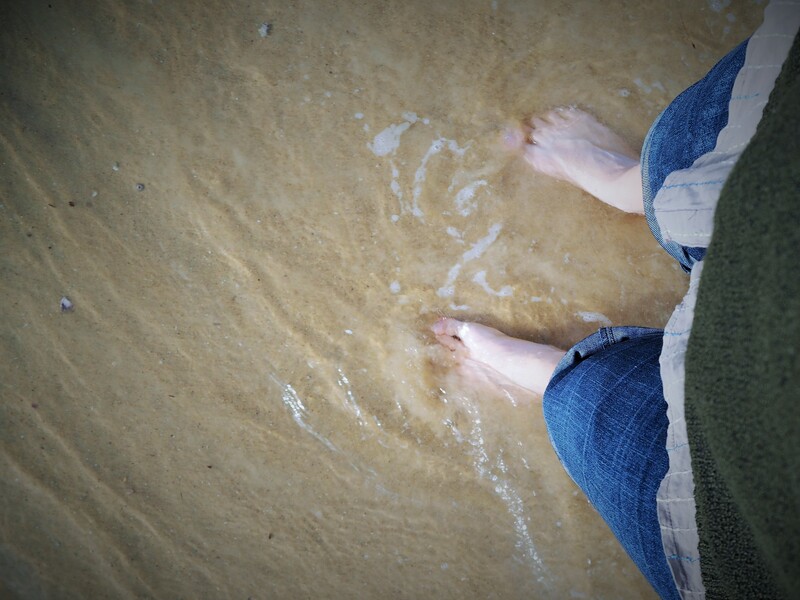 Next Sunday … will I have time for a beach before my flight? The following … a river ride and the Giro d’Italia? Close enough to a swim for May. Lady Martin’s Beach is in the Municipality of Woollhara, the State Electorate of Vaucluse (Gabrielle Upton, Liberal) and Federal Division of Wentworth (Malcolm Turnbull, Liberal).